UPDATE: WE HAVE OUR WINNERS! Stanzie McClusky and Annie Bresnahan, check your emails for details on how to claim your prize. Congrats, and thanks to everyone else who entered! In honor of Valentine’s Day, we’re giving away a ton of romantic products during the month of February. 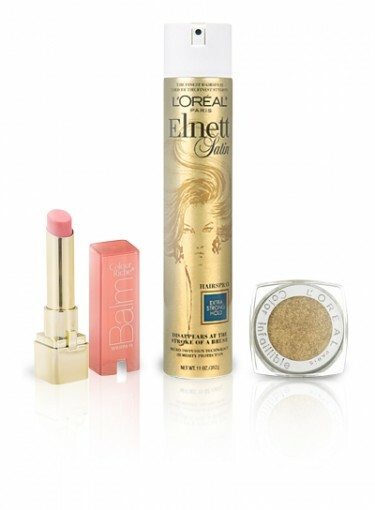 This week, we’re giving away two bags of L’Oreal products — each bag includes the L’Oreal Paris Colour Riche Balm, L’Oreal Paris Infallible Eye Shadow, and L’Oreal Paris Elnett Satin Hairspray (worth $30 total). These products are perfect to have on hand when you’re getting ready for date night, and two lucky winners will get them just in time for Valentine’s Day!